There are no big names such as Hennessey or Remy-Martin when referring to Armagnac, so most are labeled with the Chateau of their production and stating the origin AOC region. 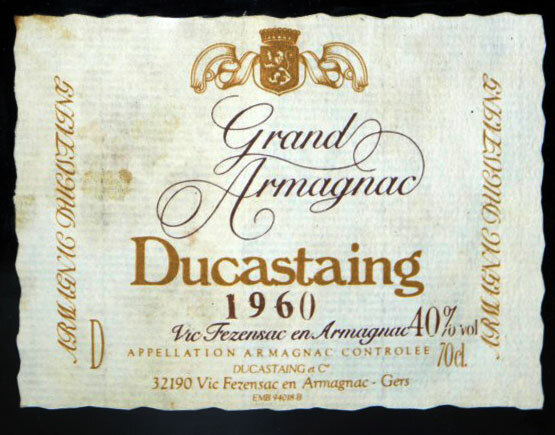 Compagnie d'Armagnac Ducastaing produced this unique range. Armagnac is distilled at 40% ABV from Ugni Blanc, Folle Blanche, Baco Blanc, and Colombard grapes and aged in oak barrels. 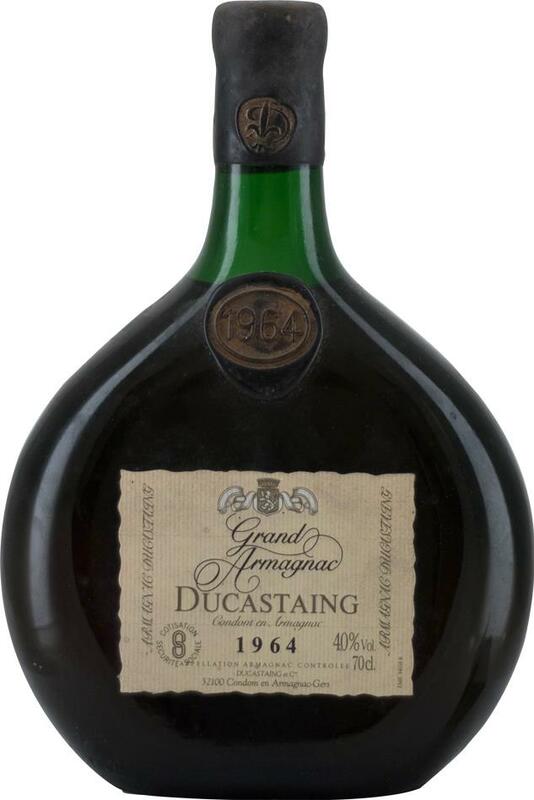 Ducastaing is an Armagnac that is excellent value for money, accessible and affordable. 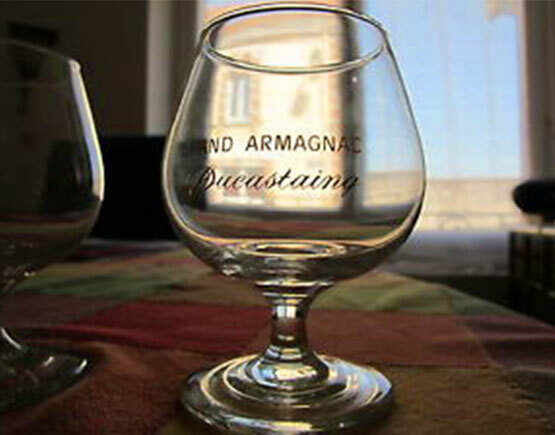 Today Ducastaing is a subsidiary of La Martiniquaise, a leading player in Armagnac producing carefully-crafted top-of-the-range Armagnacs. 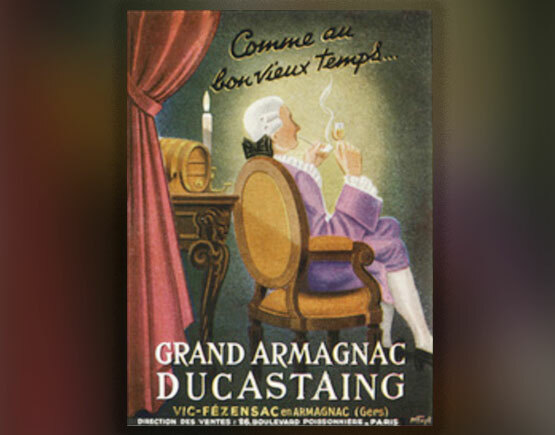 The old Ducastaing offers Armagnacs from all three AOC regions which imply that they did not have an own vineyard but acquired the grapes for their Eau de Vie from winegrowers all over the Armagnac region. The Armagnac region is located primarily in the Gers administrative department, but spreads into Landes (to the west) and Lot-et-Garonne (to the north). Hence, this was the official "Armagnac" province that existed before the French Revolution. Today, the Armagnac production area is broken down into three sub-regions: Bas Armagnac, Armagnac-Tenareze and Haut Armagnac. There are subtle differences in the brandy produced in each sub-region, due mostly to the differences in soil and climate. Bas Armagnac, the westernmost of the three, generates the vast majority of Armagnac.